This 8ft. Farm Table was made from 6" W x 1.5" T Western Red Cedar planks and then finished with a Red Oak stain and high gloss protective sealer. 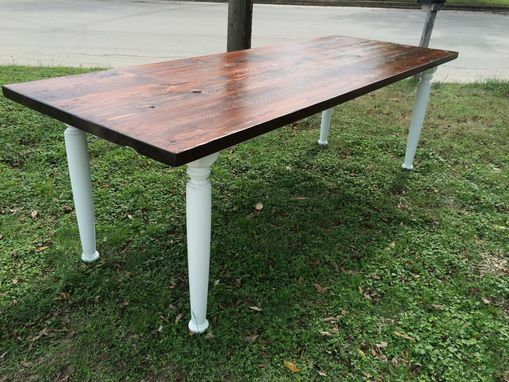 The legs and skirting were painted with chalk paint then hand distressed and sealed with a protective wax. 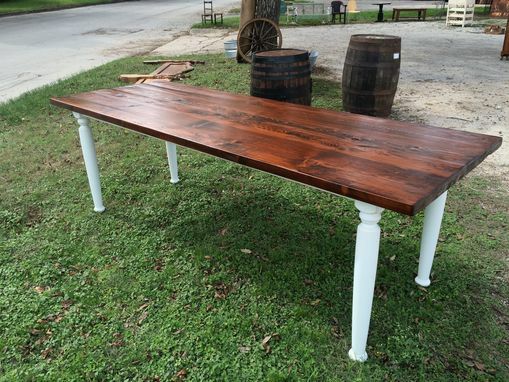 We can make you a farm table in nearly any species of wood and up to 20ft. in length. Quotes and renderings are at no additional charge.